Welcome to Fish Window Cleaning! 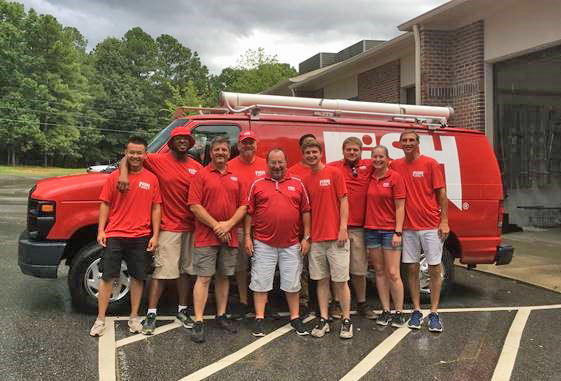 We are your local window cleaning company for Cary, Durham, Chapel Hill, Pittsboro, Carrboro, Raleigh, Morrisville, Apex, Holly Springs, and Fuquay-Varina, NC. Whether you've never had your windows professionally cleaned or you're looking to replace your current window cleaner, you've come to the right place! We are your local professionals and we are ready to brighten your world at work and at home! Jamie and Lisa Hitmar are the owners of your local Fish Window Cleaning location. They began their careers as teachers and started their window cleaning business in 2011. They live in Pittsboro on a small farm with their two very large mastiffs. Lisa divides her time between their business and teaching in the local schools. Jamie works full time in the business and is most likely the face you see when you ask for an estimate. In their spare time they work on their 148 year old farmhouse and create art and furniture from reclaimed items. Click here to submit a free on-site estimate request form! Or you can email Jamie with any questions at jhitmar@fishwindowcleaning.com. We understand that homeowners are busy and with all of the tasks on your to-do list, window cleaning has been pushed down to the bottom of that list. 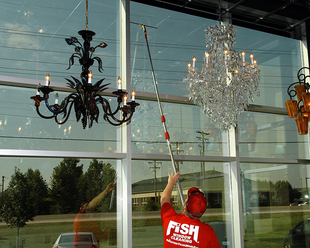 Let Fish Window Cleaning help by cleaning all of the windows in your home inside and out, removing all debris from your gutters, making your chandelier sparkle, removing all fingerprints and streaks from your mirrors, and much more! Our team is professional, respectful, and reliable so you can trust us to keep your home looking beautiful all year long! 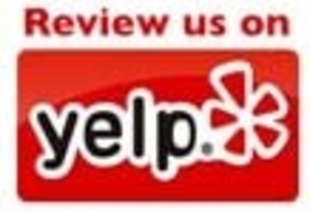 We are committed to customer satisfaction so give us a call for a free on-site estimate today! 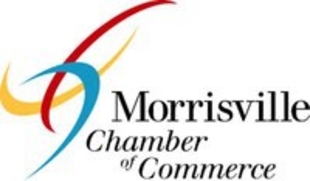 "Other services used in the past were not reliable and the quality of the job varied. 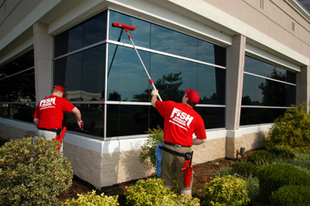 Fish Window Cleaning is definitely the best value." The appearance of your business affects your customers’ perceptions of your business as a whole. Let us help give your customers a great first impression by removing all of the streaks and fingerprints from your windows, the cobwebs from your window frames, and even tape from hanging signs. All of our cleaning programs are completely customizable to meet your needs, budget, and schedule. We also understand that our appearance reflects on your business too. Our team is uniformed, we are licensed, bonded, and insured and we lead the industry with our premier safety program so you can rest assured that true professionals are maintaining the appearance of your business!